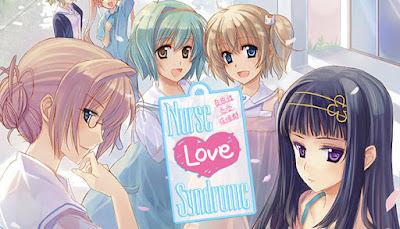 Quirky Cast - From the strict head nurse Hatsumi Otsuka, big-sisterly Yasuko Yamanouchi, and nursing school senpai Nagisa Fujisawa, to the hostile patient Sayuri Sakai, cute looking high-schooler Ami Asada, and the mysterious Master of Room 310, the cast of quirky characters will all define Kaori's growth. Multiple Endings - Let your choices decide how Kaori will grow her relationship, and lead her to one of the 20 or more endings, of sweet love or darker passions. Complete Edition - Nurse Love Syndrome includes all the content of the updated Nurse Love Syndrome Re:Therapy game released in Japan, for you to enjoy the definitive edition of love and nursing. Plus...PS Vita Collector's Edition by Limited Run Games!